The way that your GRE performance is measured and assessed is slightly different from the grading system used in most schools and college exams that we are so used to. On the GRE, as with many other competitive exams like the CAT, your performance is assessed as a percentile. It’s actually quite straightforward; your percentile score is indicative of your relative performance, whereas your percentage measures your absolute performance. In other words, the percentile tells you how you have performed vis-a-vis your competitors, and is, therefore, a great way for university admissions officers to review your application. Put simply, for instance, a percentile of 93 means that you fared better than 93% of the people who also took the GRE, and puts you in the top 7%. The higher the percentile, the better it is for you. On the other hand, a 50th percentile means you’re right in the middle, and your performance was average. Your raw score indicates your absolute performance on the GRE, while the percentile shows you how well you stack up against your peers. Therefore, for something as intense as graduate school, a high percentile is both evidence of your individual merit, and your ability to outperform your competitors. 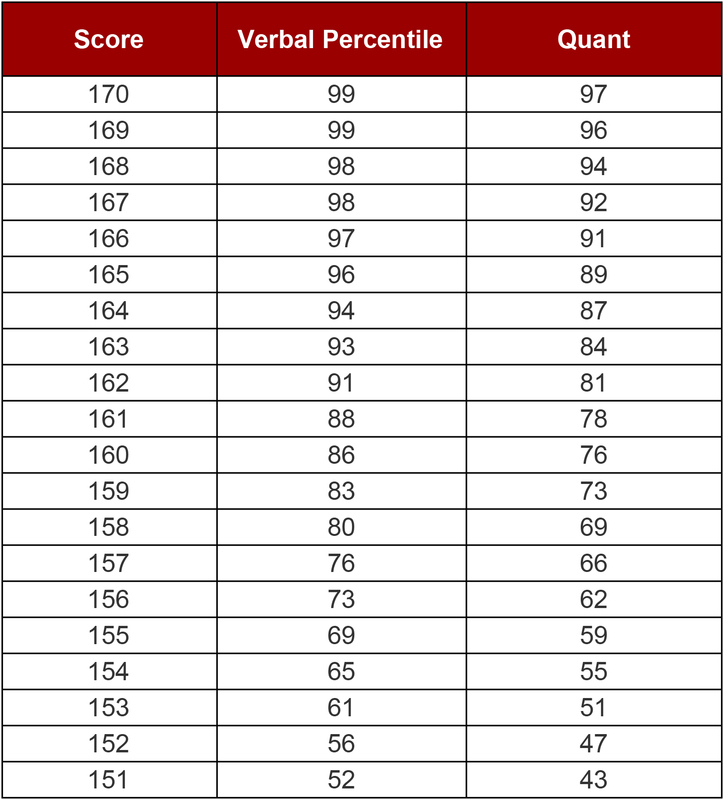 As we can note, a perfect 170 in Quants puts you in the 97th percentile, whereas the same score in Verbal puts you in the whopping 99th percentile. This means that it’s more difficult to score a perfect 170/170 in Verbal: A feat that only 1% of the test-takers are able to achieve. On the other hand, 3% of the test takers are able to score a 170; meaning that more people do better in Quants than they do in the Verbal section. The GRE is designed to have an approximately normal distribution, which means that a majority of the test takers score somewhere in the middle of the scale, and that scores further away from the middle are less common. This is evident in the sharp hike in the percentile obtained when the score improves by just a few points. A 148 on the Verbal section is a 39th-percentile score, whereas a 153—only a 5-point boost—gets you all the way up to the 61st percentile! 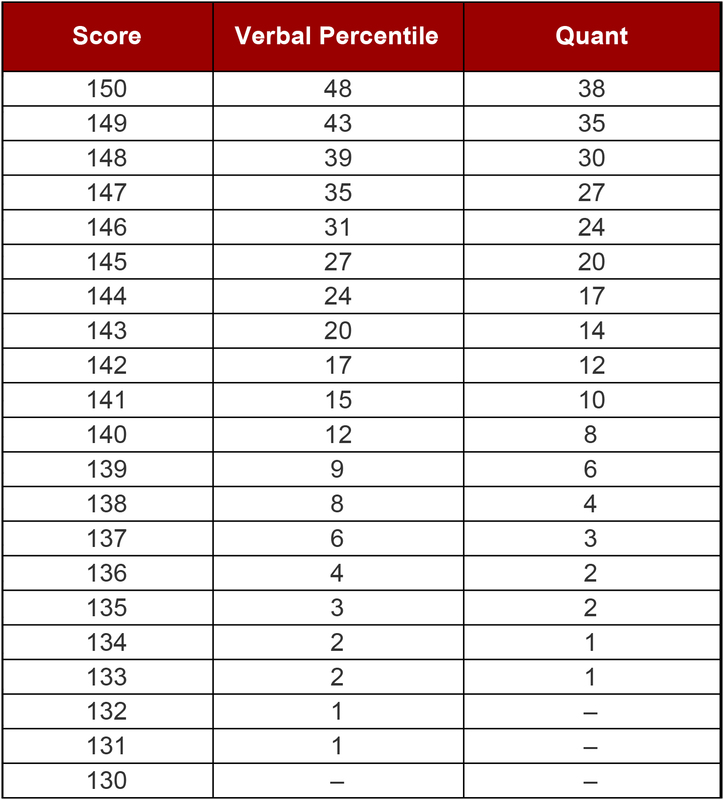 Towards the top end of the scoring scale, the same 5-point boost only improves your percentile a little bit; for instance, a 165 on GRE Verbal is a 96th-percentile score, and a 5-point boost to 170 only improves your percentile rank by 3%, to the 99th percentile. How is the percentile calculated? Why does the GRE percentile matter for university applications? As harsh as it may sound, grad school is not for slackers. While the GRE percentile is just one aspect of your application package, it is a great way for a university to know how well you fare against your competitors, and as such, schools rarely accept students below the 50th percentile. Some of the top schools, like MIT and Caltech, indicate a percentile cutoff for their graduate programmes. This is especially true if you’re applying for a popular programme—for example Computer Science—which has more applicants, and naturally drives up the percentile requirement. Depending on your chosen field, a high percentile in that section can also help tip the scales in your favour. So for instance, if you’re applying for a PhD in Math, a Quant score in the 97th percentile will help seal the deal. We hope you found this article helpful and illuminating, and wish you the best of luck on your journey ahead. If you found this informative, be sure to check out our extensive list of resources here, to aid you with on your GRE prep!